Tyee is using Smore newsletters to spread the word online. "Congress shall make no law respecting an establishment of religion, or prohibiting the free exercise thereof; or abridging the freedom of speech, or of the press; or the right of the people peaceably to assemble, and to petition the Government for aredress of grievances." The first amendment says that people have a right to religion, free speech, the press, peaceful assembly, and to petition. In the first amendment, american citizens are given a freedom to practice whichever religion they choose or, if they want, none at all. But, there are limits such as that you cannot practice polygamy (having more than one wife) and a long range of extreme religious beliefs including human sacrifice. 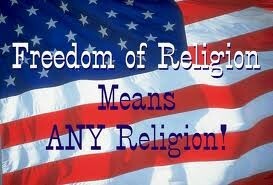 I think that freedom of religion is a great thing because there would be a lot more violence inside of america if there was only one religion that you were forced to be part of. It would also not be fair if some religions were not allowed because some members of it are bad people. We have freedom of religion because one of the main reasons for coming to the colonies was for religious freedom and not having to belong to the king's religion. But, when the first settlers arrived, they wanted everyone to be their religion. In some cases, members of a certain religion would not be allowed to hold a position in government. An example of a case where freedom of religion was applied is Santa Fe Independent School Dist. v. Doe. This was a supreme court case that decided that a policy permitting student-led, student-initiated prayer at high school football games violates the first amendment. In the first amendment, American citizens are given a freedom to free speech. 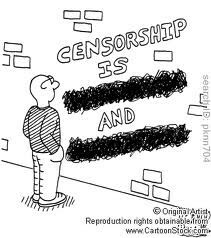 In modern times, having freedom of speech means that you can express yourself as long as long at it will not hurt anyone/thing and as long as it is appropriate for the time/place. I think that it is good for people to be able to express themselves but there should be certain limits, like you can't scream bomb on an airplane or curse in front of little kids. 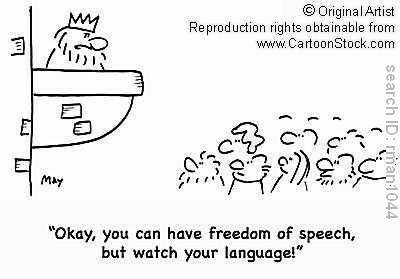 We have a freedom of speech because in England, speech was very restricted. There was even a law on seditious libel that made criticizing the government a crime. In the colonies, speech was less restricted but the government could still control what people said. An example of a case where freedom of speech was applied is Central Hudson Gas & Electric Corp. v. Public Service Commission, this was another case that was heard by the Supreme Court. The judges ruled that it would violate the first amendment to pass a law that said that electric utilities could not advertise to promote the use of electricity. 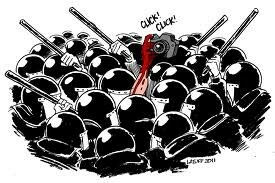 In the first amendment, one of the rights that we are given is freedom of the press. This means that the government cannot use prior restraint and must let the press publish an article before they sensor it. 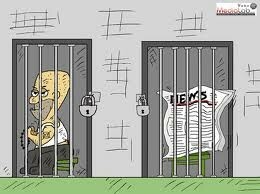 In my opinion, Freedom of the press can be a good thing and a bad thing. A way i think that it can be good is that it can keep people informed about what's going on in the world; But it can be bad because the press can reveal a lot of government secrets that could potentially hurt the US. A more current example where freedom of press has been featured is in New York Times Co. v. United States. In this case, the supreme court ruled that the New York Times could publish classified pentagon papers without risk of censorship and punishment. 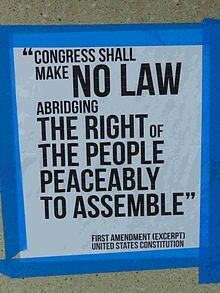 Freedom to assemble is the right of people to be able to gather to express, promote, pursue and defend common interests. This gives people a right to be in a group in a public place peacefully. I think that this is a good thing so people who would have a place to meet would be able to assemble in a park without being arrested. An example in history where the freedom to assemble was used in a case was in National Association for the Advancement of Colored People v. Alabama. This was a civil rights case where the State of Alabama did not want the NAACP to meet in Alabama anymore. The Supreme Court Ruled that the state could not issue a restraining order as it would violate the first amendment. A more recent case that involves the freedom to assemble is Boy Scouts of America v. Dale. In this case, a scoutmaster who was publicly homosexual had been expelled from the organization and the court ruled that the first amendment allows for the group to do this since having Dale in the group would affect views on the group. The right to petition means that Congress can't make any laws abridging a persons right to petition the government for a redress of grievances. I think that the right to petition is good because people can publicly address problems to the government without fear of being punished. 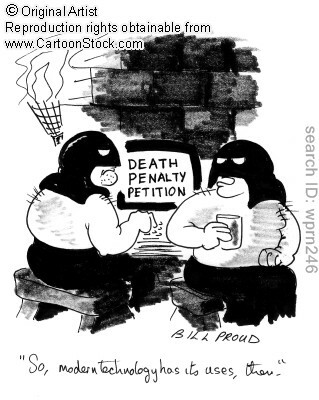 The right to petition developed from the English Bill of Rights which says "It is the right of the subjects to petition the king, and all commitments and prosecutions for such petitioning are illegal". A current example of the right to petition is Reilly v. City of Providence where a citizen was threatened with arrest for petitioning on a sidewalk. 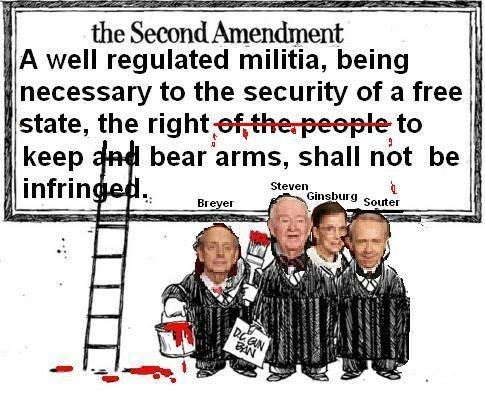 "A well regulated militia, being necessary to the security of a free state, the right of the people to keep and bear arms, shall not be infringed" The second amendment says that people have the right to bear arms, as long as that arm is used for traditionally lawful purposes like self defense. I think that people should be allowed to own guns but certain precautions should be taken such as background checks. Also, some weapons that are very overpowered should not be sold to the public because they could potentially be very dangerous. One of the main reasons that we have the right to bear arms is because after the revolution, there was fear the Britain would attack; but also, the right to arms had been a long established natural right to be able to defend your rights. 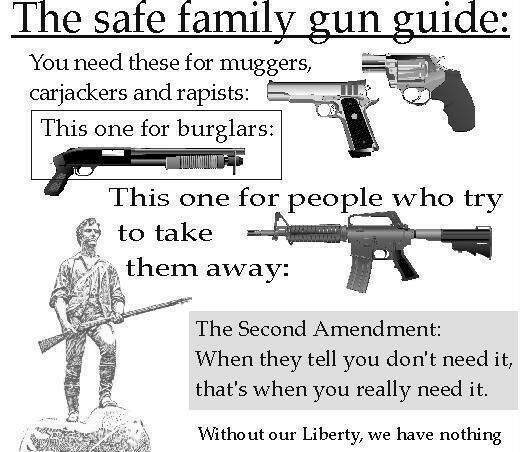 But the king had tried to disarm his subjects, and the founding fathers tried to restore the people's rights. A current case involving the second amendment is McDonald v. Chicago where Otis McDonald sued Chicago for putting a ban on handguns. The ruling was that certain gun bans were acceptable and it is constitutional.